Friday, March 1, 2019, 7:00 p.m. 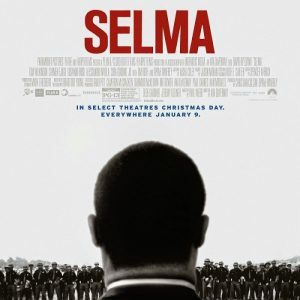 The 2014 film “Selma,” directed by Ava DuVernay, chronicles the three-month period in the Civil Rights movement—including three attempts to cross the Edmund Pettus Bridge, Bloody Sunday, and finally the successful march from Selma to Montgomery—that brought about President Johnson’s signing of the Voting Rights Act in 1965. This powerful film, rated PG-13, brings home the reality of this truth about our national history. Not only does it document the key figures like Dr. King and Rep. John Lewis, it includes the heroism of UUs Rev. James Reeb and Viola Liuzzo.